Mix together all the ingredients (I use my hands) and form patties. We tend to like them thick, so I make .5 lb patties. Cook the patties until there is no pink in the middle and juices run clear. Both the grill and oven weren't an option this time around, so I cooked them on the stove; when I do this, I usually put a little chicken broth in the skillet to keep the burgers from drying out. 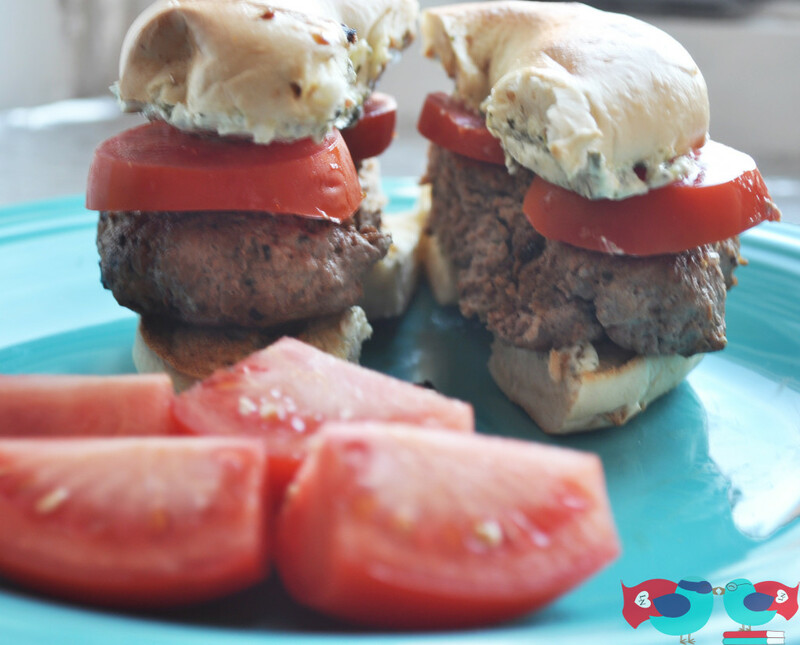 While cooking the patties, mix together the pesto and cream cheese to make the spread. I also toast my bagels. Then put the spread on one side of the bagel, slice tomatoes if desired, and assemble burger when the patties are done.